An air impact wrench is one such tool that seems very practical, but you may be hesitant in purchasing one. Here are three ways that you can use an air impact wrench to make your at home jobs far easier, faster, and more enjoyable. When you are starting to think about an impact wrench, it is always important to first learn how to use an impact wrench to avoid injury and damage to the wrench itself. Loosening Machine Tightened Nuts and Bolts- For starters, any nut or bolt that is tightened by a machine is going to be much tighter than your average hand tool tightening. Though you may be able to work one loose with a normal wrench, it is going to take time, effort, and may end in injury. An air impact wrench has the power and ability to quickly remove these machine tightened nuts and bolts to make for a much easier process and help get your projects much faster. These wrenches are assisted by your air compressor so it is going to have far more power than your own hands and body would ever have. This means that you can quickly loosen these nuts and bolts without hurting yourself. Securing Heavy Items- Securing something like a shelf in the garage that is going to hold heavy tools, brackets that hold bikes, and other heavy things that may need the added security of a bigger bolt to support the weight. Using something like an air impact wrench is going make the installation process easier and much quicker. Working on Cars, Small Engines, and Lawn Mowers- Everyone knows that replacing a tire requires that the lug nuts be secure and very tight to prevent it from coming loose while driving. An air impact wrench can help you to tighten the lug nuts enough to prevent the wheel from falling off while driving and to make sure that the hub cap and wheel stay in place. 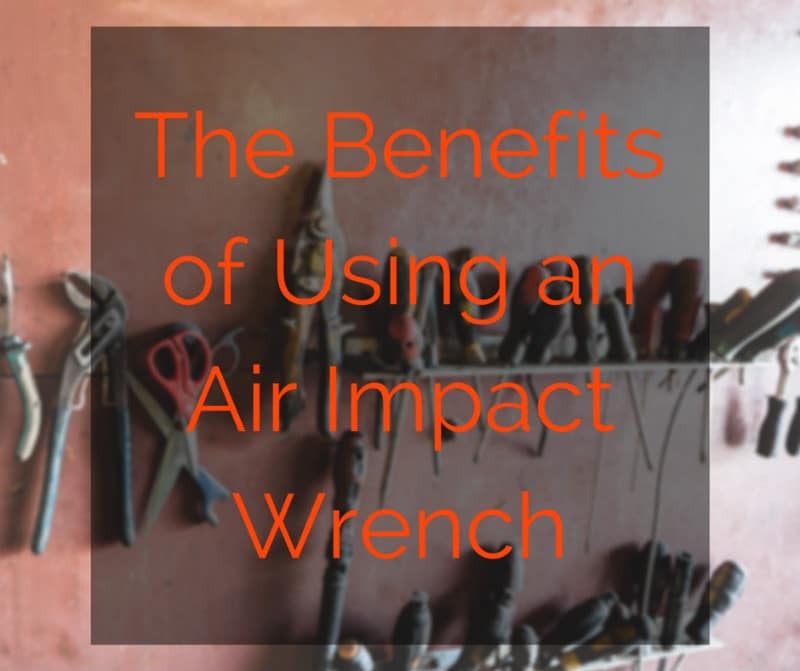 You can also use an air impact wrench when working on engines, things like lawn mowers, and other small engines that need a very securely tightened nut or bolt. Engines vibrate when they are working so it is crucial that they are tightened enough that the parts are not going to fly off when they are being used. An air impact wrench can help you to make sure your nuts and bolts are tight and secure so that you are going to have a wonderful experience rather than a fly apart. When using an air impact wrench, your projects will become more efficient and reliable than if you relied only on muscle power. Although these uses may not surprise everyone, it is still worth it to note the importance of regularly assessing your toolbox and the tools you are consistently using. It’s important to find your tool preferences for your various projects but it’s just as important to stay up-to-date on the newest tools and their uses that will make your projects even more successful.